Lourdes Reyes Montinola’s main interests lie in the field of art and culture, and lately in heritage conservation. She is a member of the Oriental Ceramic Society, the Asia Society, and Concerned Citizens of the Museum Foundation, among other civic, religious, and charitable organizations. She is Chair Emeritus of the Board of Trustees of the Far Eastern University. Her book Piña (1991) was written because of a desire to preserve a national treasure in danger of extinction. It won the Manila Critics’ Circle National Book Award for Art in 1991. 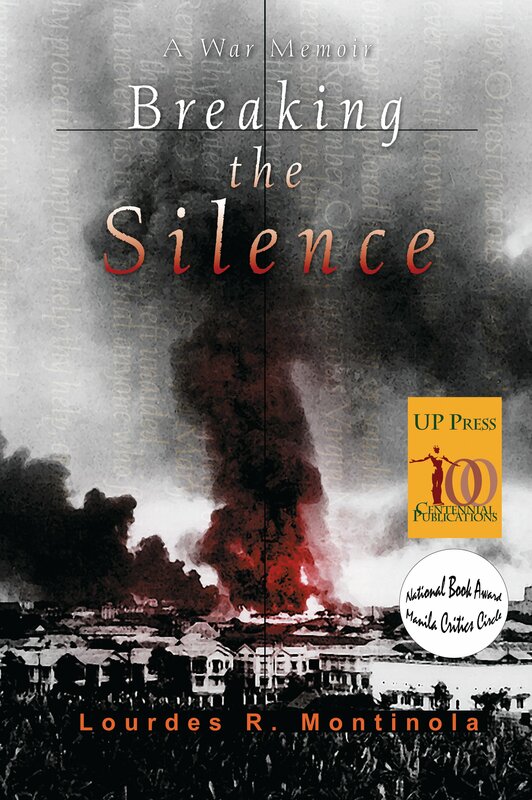 Breaking the Silence (1996) also won the Manila Critics Circle Award in the category of Biography. It was also selected by the Editorial Board as a University of the Philippines Press Centennial Publication in celebration of the first 100 years of the University of the Philippines.